Paris was amazing. It never disappoints me. Worked a lot and played some, what could have been better? I do have several fun posts to get up over the next week. 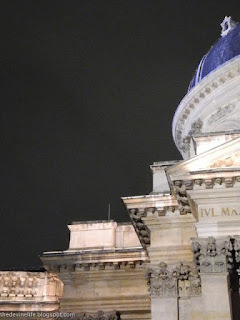 I am going to start with some shots of the two places that I adore the most in a city where there’s so much to adore. The Pont des Arts and the bibliotheque de Mazarin. I have wonderful memories of the bibliotheque de Mazarin from my student days in Paris. It is where I went almost every afternoon to study after class. 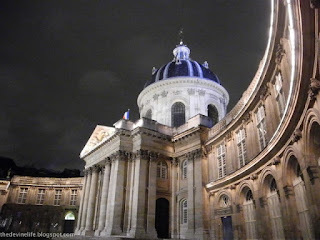 It was also the building next to the apartment where we stayed on the Quai de Conti. I have to say an apartment on the Quai de Conti is very easy to get used to. 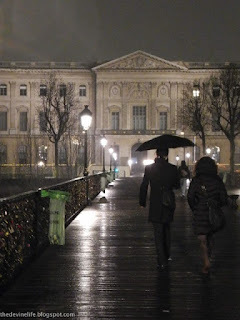 Of course in front of the Mazarin is the wonderful foot bridge, the Pont des Arts. It was drizzling and the reflection of the lights on the bridge was very poetic. 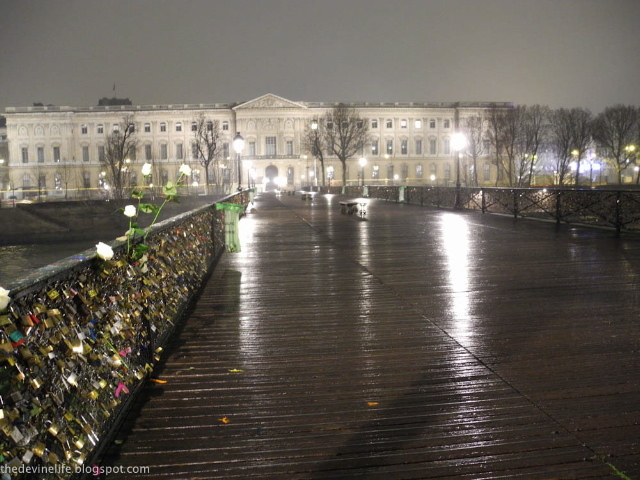 To complete the scene someone had left a dozen white roses on the bridge. Perhaps they were lovers, and had just added another padlock to the bridge, as they do in Paris. A couple crossing the bridge, I wonder what their story is?